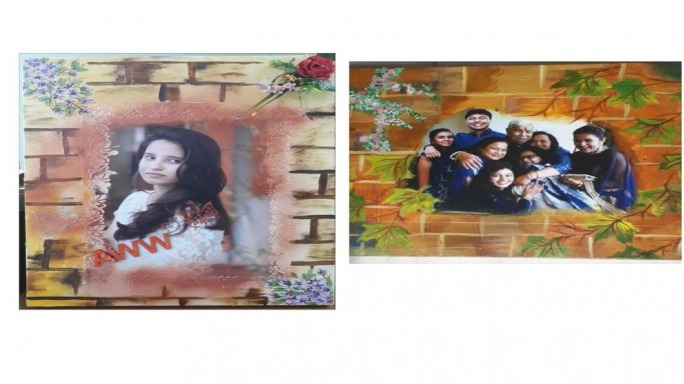 Immortalize your memories on Canvas. A mixed media workshop with Decoupage. Size of Canvas - 12 *16 inches Please carry a photo which you wish to immortalize Size of Photo - 4*6 inches on regular computer paper If your unable to get a printout of the Photo, you can email it to me by contacting us. I shall get a Printout for you. No prior experience in painting is required. Art is a Therapy and will help one de-stress. So for all those who who do not know how to paint, don't be scared and come and join us for this event. All painting materials will be provided along with complimentary refreshments. Come -Paint and take a beautiful piece of art with you home! Call us for any queries. Neelu's Art by Neelam Jain - I am a self taught artist and teacher for the past 20 years. I have been conducting workshops and exhibitions in different mediums of paintings.